I apologize to your retinas. Keep the child abuse jokes to a minimum. If you can. The worst part is they think they look good. Worse yet, there is a store that sells all that s**t.
It appears that Harry and Lloyd from dumb and dumber have found a 3rd member to attend swanky parties with. Thought they got rid of the ‘Urnge Pride. Is that Lacey Pearl Earps? I’m disappointed, he is drinking a coke. Shouldn’t it be a Fanta Orange, just totally ruins the image. It definately ruins the color scheme, but I am pretty sure it is functionally being used as a spit cup. The little lady is disappointing; her outfit has no passion. Remember, kids the internet is forever. Accessorizing with Dooley’s hand me down’s. Tennessee’s bagman . . .hiding in plain sight. Peyton Manning and family visit during T-Day. Dumb & Dumber with their boiz, Walker and Texas Ranger. as usual, UT fans display lots of class. It’s just all low. There is just no accounting for taste. .The only thing the color orange looks good on is an orange. 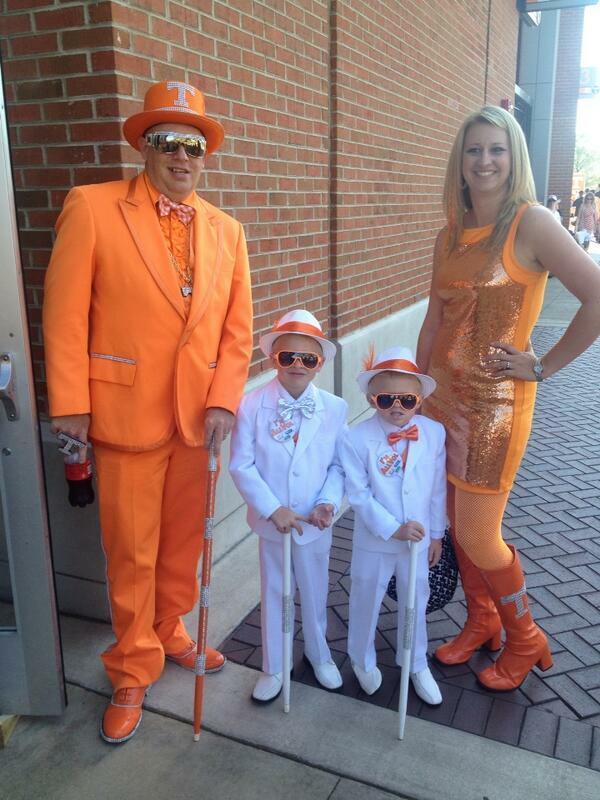 That’s one way for the Kiffens to get back into good graces with the UT fan base. Child abuse is no joke, as evidenced by that picture it is very real. my ho better have my money. Atlanta vice unit has an APB for this family of “players” that are working Metropolitan Avenue. Is pimpin’ easier or harder in a state where none of the women have teeth?